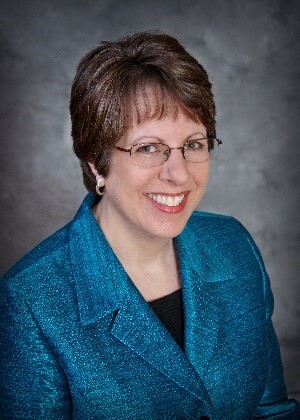 Vicki Crawshaw Kwarciany, Ph.D. is an industrial-organizational psychologist and organization effectiveness professional with extensive internal and external organization experience. Over the last twenty years, Vicki has held positions as front-line manager, internal organization effectiveness director and external consultant to businesses of all sizes. As Senior Consultant for The Executive Edge®, Vicki has helped leaders create positive change and achieve new levels of performance, both for themselves and for their organizations. In addition, she has designed practical tools, processes and education to maximize the effectiveness of leaders and their employees. Vicki’s experience spans many industries, including retail, financial services, call centers, repair services, manufacturing, consumer products, healthcare and not-for-profit. She has worked with clients that include Sara Lee, OfficeMax, DeVry University, Littelfuse, CertainTeed, Lawson Products, KishHealth System, Provena Health, Publicis/IT Resources and Crowell & Moring. Vicki is an examiner for the Lincoln Foundation for Performance Excellence, which recognizes Illinois organizations for successfully meeting standards of excellence using the Malcolm Baldrige National Quality Award criteria. Vicki is the lead author on a chapter in The Handbook of Multisource Feedback and has made multiple presentations to her colleagues in the Society for Industrial-Organizational Psychology (SIOP) and at International Quality and Productivity Center (IQPC) conferences. Vicki earned her Ph.D. and M.A. from the University of Illinois at Chicago, and her B.A. from Knox College, in Galesburg, IL. She is an active member of HR Management Association of Chicago (HRMAC), the Society for Industrial-Organizational Psychology (SIOP), and the American Psychological Association (APA). Since 1997, Vicki has been a volunteer the Frank Lloyd Wright Preservation Trust in Oak Park, IL. In addition to giving tours, she has participated in multiple leadership roles, including training new volunteers, managing Wright Plus™ (annual house walk) volunteers and house operations, and consulting with staff leaders in change management.